The fountain is a major focal point of activity and a popular gathering place. 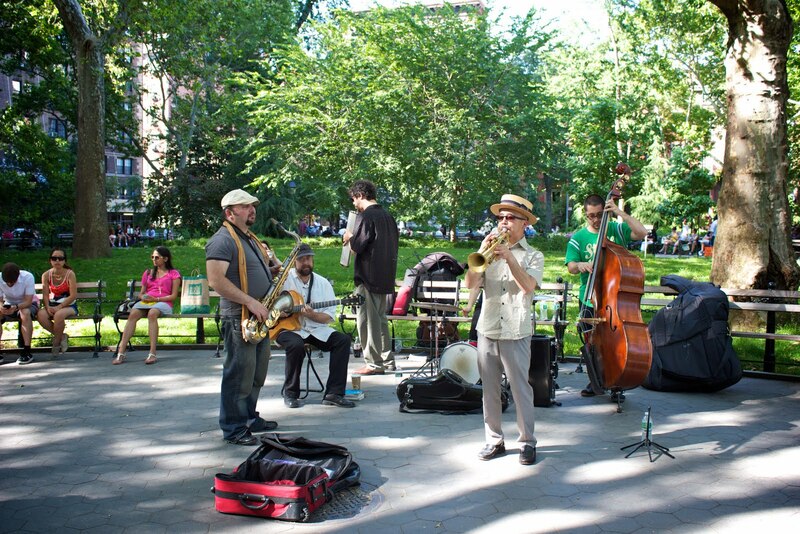 Washington Square Park is one of the best-known and best-loved destinations in New York City. As a neighborhood park and civic gathering place, it may be one of the great public spaces in the world. Anyone who visits the park today and who looks at how people use it can confirm in just a few minutes that it has nearly all of the key attributes of a great public space. These attributes, first identified in the research of William Whyte’s Street Life Project (later refined and expanded through PPS’s work) are: People are engaged in a wide range of activities and uses; There is a diversity of ages and gender; People gather in groups as well as alone; Most of the space is used—there are few empty areas; People use the space at all different times of day, week and even during varied weather conditions. A park’s success can also be measured by other indicators such as the amount of affection that is being displayed, its overall level of comfort and sense of safety, the level of stewardship, and the way people engage in different activities at very close range and interact with each other easily. 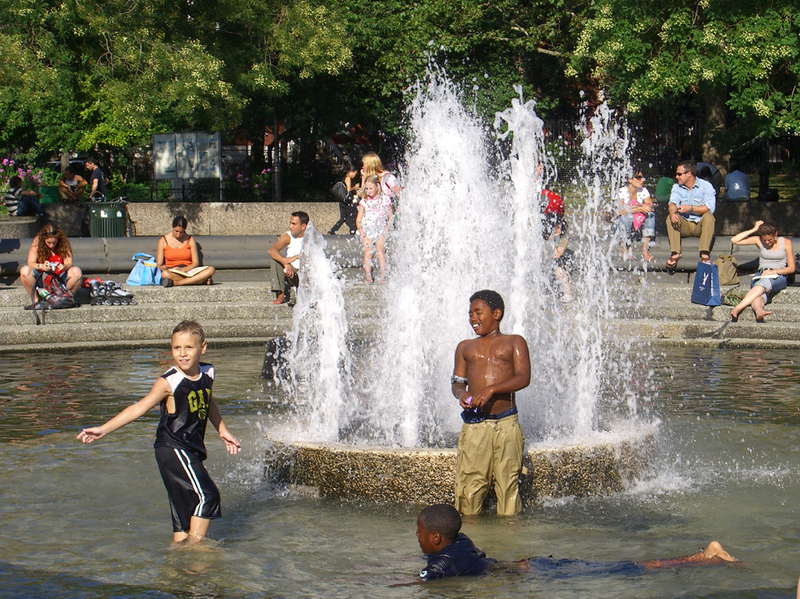 In 2005, the Washington Square Park Council asked PPS to conduct an analysis of how people were using different parts of the park and how well the current park design and amenities supported people’s activities. The analyses included both online and in-person surveys of people who visit the park as well as systematic observations and pedestrian counts. Observers mapped park use on one weekend and two weekdays, noting the number of people in the park, which parts of the park were used by different types of people, what activities they engaged in, pedestrian traffic at the entrances, and use of the park by time of day. 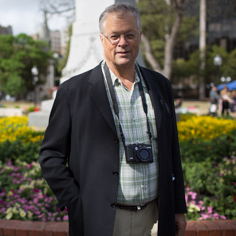 PPS also conducted informal observations, recorded the condition of amenities in the park, surveyed a sample of people in the park and online, whose responses suggested that Washington Square Park is primarily used by locals. In addition to observations and surveys, a placemaking workshop for approximately 50 stakeholders, including representatives from New York University, the Parks Department and Community Board 2 along with major interest groups such as musicians, playground users, dog run advocates and chess, petanque (a French sport similar to bocce ball) and Scrabble players. 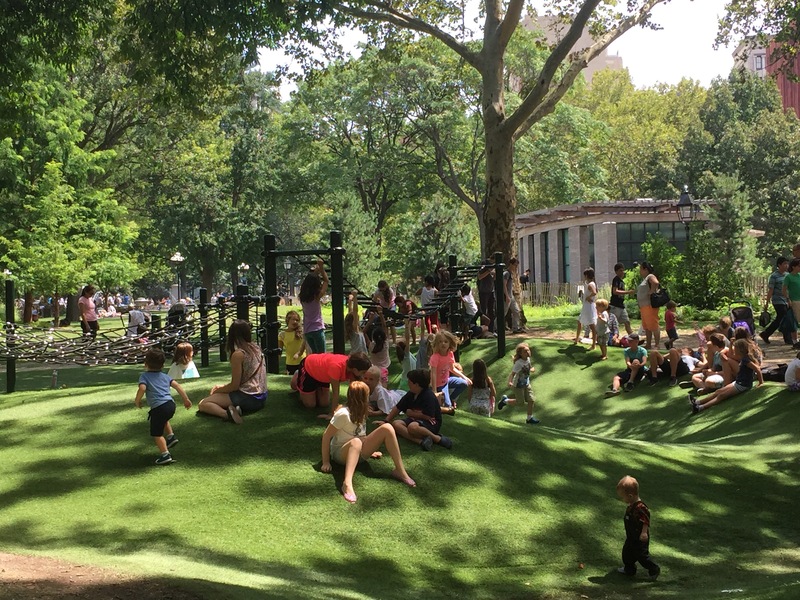 Today, The Washington Square Park Conservancy, a not-for-profit organization formed on the heels of the recent renovation, in 2012, and works with both the Parks Department and neighborhood groups to ensure that Washington Square Park continues as a diverse and historical urban green space. The organization engages volunteers and raises funds to support additional maintenance and horticultural staff, playground associates, and a mini grants program, which helps community organizations and local arts groups provide free cultural programming in the park and the surrounding area. In 2016, these grants helped to provide film, music, dance, and literature offerings to park-goers. The Conservancy also runs several programs for people of all ages—with help from other community groups— including a scavenger hunt, weekly walking tours, an acorn planting workshop, and a tree identification walk. The fountain is a main gathering place within the park. Buskers continue to provide lunchtime entertainment, a main characteristic of the park.  The Mounds, created in the 1970s, are still part of an “adventure park” for children.